A fresh football season has started yet again. A fresh season of passion and rivalry, ecstasy and heartbreak, diving and cheating, fairplay and red cards, goals and near misses, football drums and war chants. You live for one more season of football. Globally, millions of fans are swamped by the new and old aspirations. 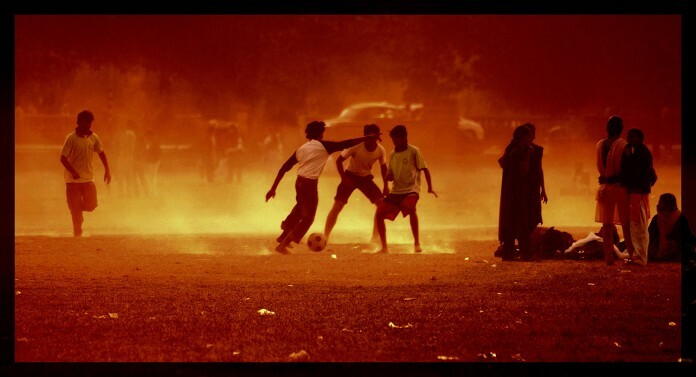 And if you are from the former capital city of India, where the British established their empire, you will not be able to survive if you are not in love with Indian football; sometimes hopelessly though! The biggest part of this madness is the Kolkata derby which we call Boro Match (Boro, in bengali, means big). It all started back in 1920 due to a controversy in a match between Jorabagan Club and Mohun Bagan Club in the Coochbehar Cup football tournament. Sailesh Bose, an outstanding half-back of Jorabagan and a resident of East Bengal (before partition), was benched in that match because of his ethnicity. 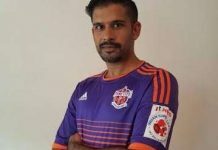 Sailesh Bose, humiliated by this incident, decided to leave the club. Suresh Chandra Chaudhuri, the vice-president of Jorabagan and the Zamindar of Nagerpur, who himself was bangaal (bengali term for a person of East Bengal ethnicity), also decided to resign from his post to protest. Suresh Chaudhuri then convinced some influential bangaals, residing in Calcutta, to form a club which would provide an identity to the people of the eastern part of Bengal. 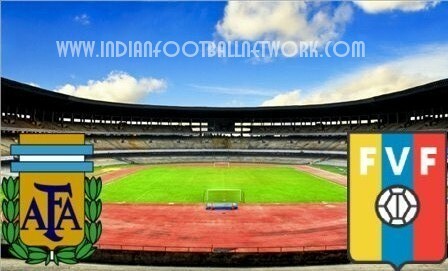 The effort resulted in the birth of the East Bengal Club, established on 1st August 1920. 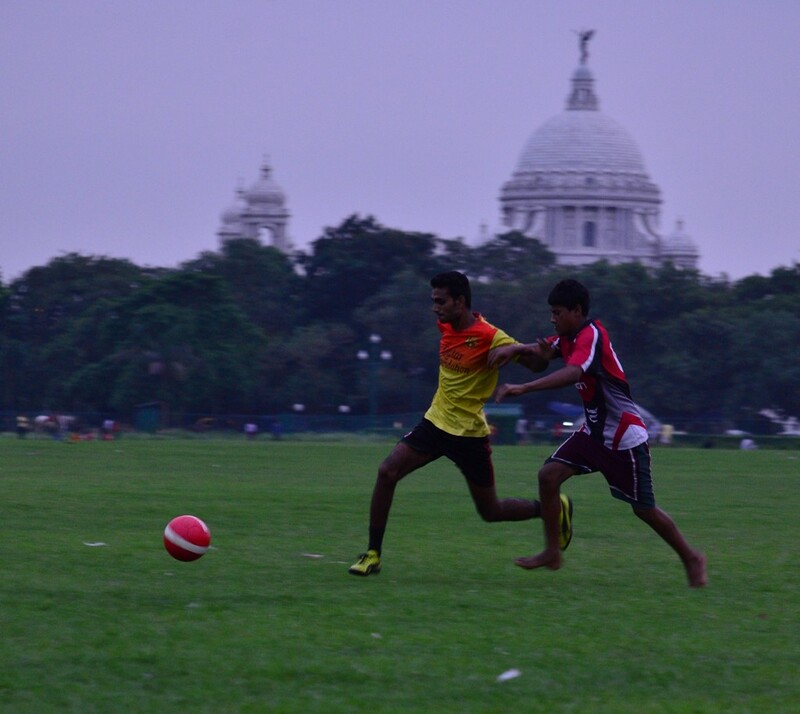 The Club provided a ‘sub- regional’ identity to the bangaal community and gradually established their presence in the game of football in colonial Calcutta. In 1925, East Bengal played in the first division of the Calcutta Football League as the third Indian club. One interesting thing is that the discrimination between established Bengalis and immigrant Bengalis did not start by Mohunbagan club but by Jorabagan. 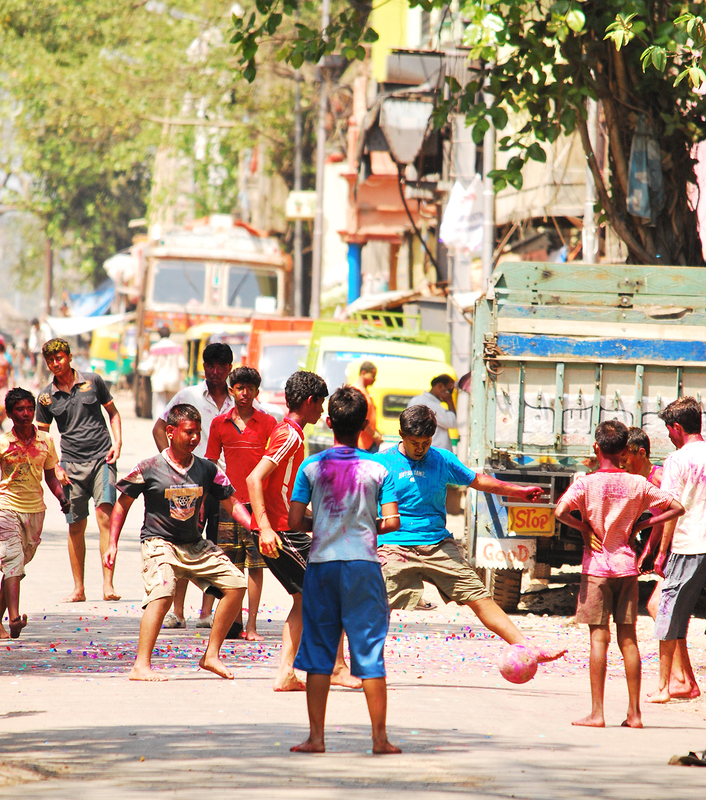 The cultural difference between the people of wealthy western districts of Bengal, known as ghoti, and the people of eastern districts of Bengal, bangaal, was reflected in the game of football in the form of the rivalry between Mohun Bagan and East Bengal. It is often said that the Kolkata derby starts on the pitch, but ends on the plate! If there is an East Bengal-Mohun Bagan football match, the price of hilsa fish or prawns are determined by the result of the Boro Match. 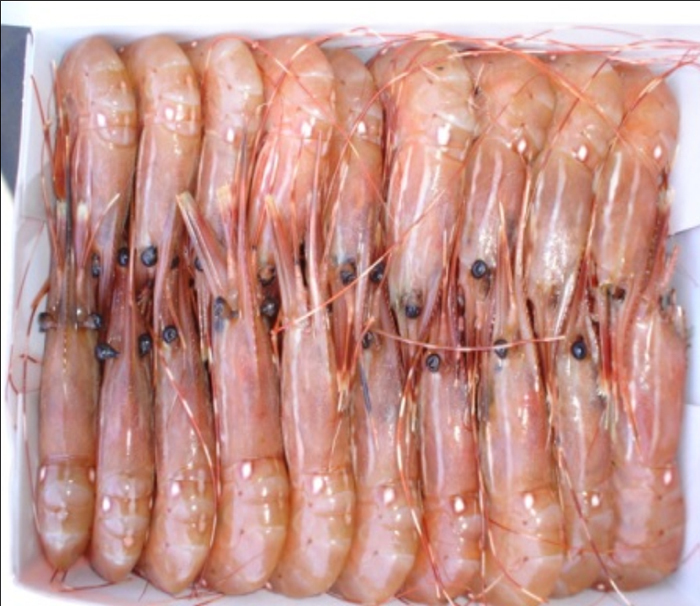 When Mohun Bagan players win the derby they are felicitated with garlands made of specially ordered Galda Chingri (Lobsters /King Prawns) – symbolic of ghoti food. When East Bengal wins a match against Mohun Bagan they feast on Illish (Hilsa Fish) – representative of bangaal food. Though the official icons of Mohun bagan and East Bengal are ‘boat with a sail’ and ‘Torch’ respectively, supporters often go to the gallery with cutouts of Chingri or Illish. 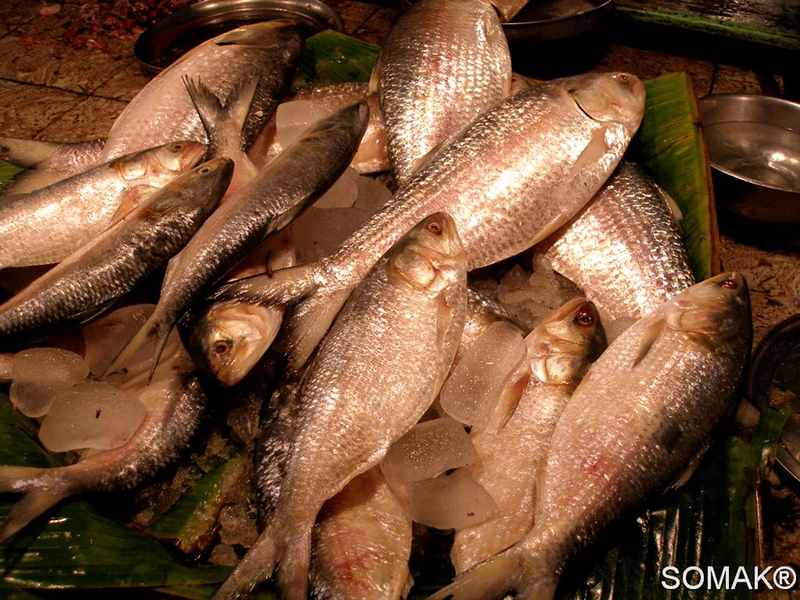 If you are not from Kolkata and visiting the city during this time of year, go ahead and taste some Ilish or Chingri. Few notable restaurants where you can get good quality Ilish or Chingri are – 6 Ballygunge Place, Oh! Calcutta, Kasturi, The Bhoj Company, Saptapadi and Bhojohori Manna. East Bengal have already put themselves into a four point lead at the apex of the league table and are now close to their sixth consecutive title with 22 points from 8 matches. 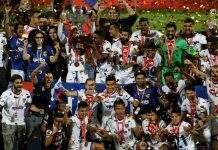 Red & Gold’s brilliant start for the defense of their Calcutta Football League (CFL) title has brought them within touching distance of retaining the trophy. East Bengal fan found their new hero Do Dong Hyun, young South Korean who has scored ten goals from eight matches so far. Dong Hyun has proven to be a complete footballer who displays a menacing pace and good finishing skills, along with the ability to hold the ball. East Bengal coach Biswajit Bhattacharya will have a option of either using striker Ranti Martin or former Mohun Bagan defender Bello Rassaq to accompany Do Dong in the derby. 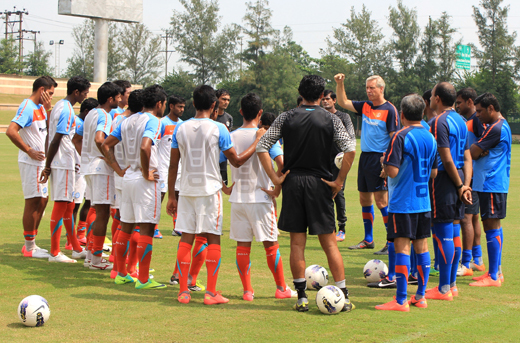 Young players like Samad, Bikash Jairu, Abinash Ruidas and Prahlad Roy will be ready to prove themselves in the derby. Mohun Bagan, on the other hand, had a poor start to this season. Apart from their on-field mistakes, they had also made a major off-the-field mistake which has cost them 3 valuable points. They have violated U-23 rule against Tollygunge Agragami, and despite a 3 – 1 win against them, they were not given the points for the violation. Eight points below East Bengal, the CFL title is now a distance dream for them but a win in the boro match can take every Green & Maroon fans to the seventh heaven. Though they are missing their key performer Sony Norde, Mr. dependable Yusa Katsumi and prolific striker Dudu will be there to give Red & Gold defense a tough time. I-League winning coach Sanjoy Sen will also have the service of Mariners’ latest foreign recruit, a Haitian international Judelin Aveska, who has featured in the CONCACAF gold cup. Mariners will also have service of young stars like Pankaj Moula, Azharuddin, Ram Malik along with experienced Lalkamal Bhowmik and Kingshuk Debnath. Indian youngster, the 22 year old Kean Lewis, who trained in US’ Houston Dynamo will also be a player to watch out for Mohun Bagan, who has scored twice in the last game against Police AC. The Kolkata Derby is the only derby match which has made it to FIFA’s list of classic rivalries from a nation which is ranked above 100 in the FIFA World Rankings. You simply can’t afford to miss it! All photographs are by Somak Sarkar. The writer and Indian Football Network are thankful to him for sharing these beautiful photographs.